The LIFE Business educates the world on the 8F’s of personal and professional change. Wow! What a week! I knew the LIFE TEAM launch was going to be explosive, but I had no idea the level of demand for our leadership materials in the marketplace. I have received numerous reports of car dealerships, school districts, colleges, etc, who are purchasing the LIFE materials. 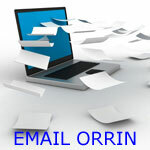 The consistent refrain from LIFE customers revolves around, “Finally someone has a turnkey method for teaching leadership skills into our organization at an affordable price.” Only one company in the world has two of the Top 30 Leadership Gurus and that company (LIFE) provides it’s information at a price affordable to everyone. Leadership is the key difference between floundering organizations and thriving ones. If you run a business, what plan do you have in place to build the leadership capabilities of your community? The LIFE TEAM, through providing 4 CDs and a book for the ridiculously low price of 50 dollars, can help. Moreover, when a business has more than three customers, volume discounts kick in with LIFE’s buy three get one free program. LIFE is taking leadership to the people, focusing on improving lives, not just of the leadership elite, but everyone’s leadership! 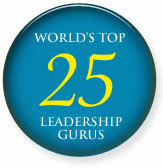 By providing leadership training on a monthly basis, the principles sink in much better than a one time class. 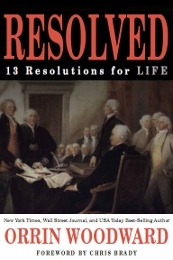 In fact, in my new book RESOLVED: 13 Resolutions for LIFE, I teach how to build and grow a leadership culture. Consistent messaging of the proper principles is one of the keys to building a leadership culture. LIFE provides the consistent messaging to help in creating the culture necessary to win in today’s ultra-competitive marketplace. 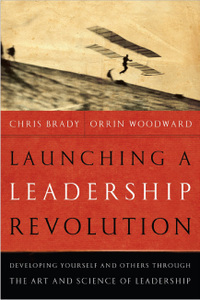 Like Chris Brady and I said in our NY Times and Wall Street Journal best-seller, Launching a Leadership Revolution: Everyone is a leader in some capacity. 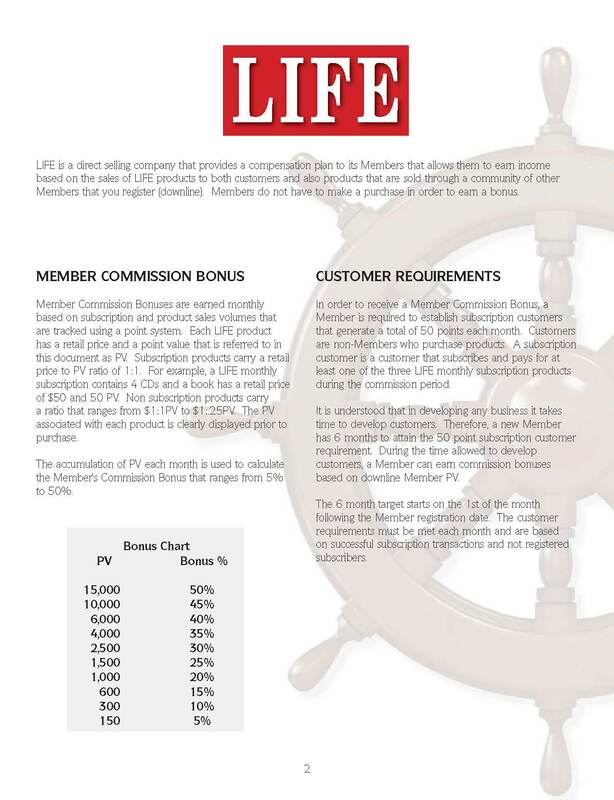 The LIFE Business Compensation Plan is here. The launch of LIFE has expanded the opportunity for community builders to have fun, make money, and make a difference. Imagine a compensation plan that doesn’t top out at 25%, 35% or even 45%, but rewards through volume discounts up to 50%. This isn’t even touching upon the seven depth bonuses paid out for building secure long-term businesses. LIFE isn’t a plan to get a couple of people wealthy with everyone else trying really hard. Instead, it’s a plan where 70% of the total revenue is paid out to 95% of the people, meaning everyone who is moving LIFE Leadership materials will receive a bonus if they have at least 150 points worth of total business and have personal volume/customers. Never before has a plan shared so much with so many. LIFE TEAM is going to reach 1 million people by rewarding everyone who does the work based upon performance. The LIFE compensation plan is a game changer and one of the key planks in helping the TEAM reach 1 million people. The rewards for building communities and hitting new brackets is second to none with all subscription dollars to points being 1:1. In other words, 100 dollars of subscription volume equals 100 points. 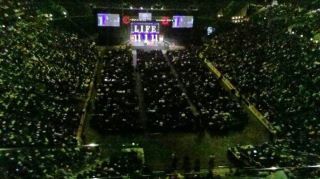 The LIFE TEAM Leadership Conference wrapped up on Sunday. With over 18 new RT’s, Triples, and Quads, along with a new PC – Chris and Danae Mattis, the TEAM has experienced its best three months in its history. Not too mention Tim and Amy Marks and Chris and Terri Brady going Quad PC. Wow! Our special guest – Dallin Larsen, Oliver DeMille, and Pastor Stephen Davy knocked it out of the park as well. Has the TEAM ever had a better major? DeMille’s talk on freedom received numerous standing ovations and Davy’s gospel message should be spread to the entire world. I never knew fleas could have such relevance to the gospel before. People are ready for change and LIFE TEAM is leading with life changing information in the 8F’s. Stay tuned for thousand of LIFE testimonials on how the LIFE products have made a difference in their lives. Anyone can have an opinion, but those who have learned, applied, and grew from the LIFE materials have facts. The LIFE TEAM is going to change the world one person at a time. When leaders are exposed to their own weaknesses, shortcomings, and incompetencies, they will quickly confront reality and change. However, when non-leaders are exposed to the similar circumstances, they will run to rationalizations, suffering from “sour grapes” syndrome. Since Sturgeon’s Law applies to business, sports, and the arts, why should anyone be shocked the 90% of the people in business are in need of further change in order to produce results? They can achieve victory, but only if they are willing to grow personally. This revelation leaves people with only two choices: change or blame. It’s a sad indictment on our culture today that so many choose to blame rather than to change. YOU make your own bed in life, but you must also sleep in it. I am proud of the ten-plus new RT’s that we will be recognized in Columbus; they have chosen the leadership path of changing and growing. I love free enterprise because if a person has a better plan and executes it properly then his results cannot be hidden for long. On the other hand, if he is just talking “sour grapes,” his poison ultimately boomerangs upon himself, destroying the love, grace, and thankfulness needed to bounce back. So no matter what else you do, be careful of your thoughts. For your thoughts today eventually become your life tomorrow. Forgive others quickly and sincerely and move on for everyone’s sake. This is the only way to overcome bitterness and resentment – drinking poison so that others may die. Today, I would like to share a little of the TEAM’s history as background for our future in LIFE. The TEAM, a leadership community, formed in early 1999 as a group committed to building teams offline and driving traffic online for volume discounts. At a time when the rest of our partnered company’s North American English speaking businesses was dropping backwards at close to 50%, the TEAM grew from 200 people attending events to over 10,000 in just over five years. How did this happen? Through leadership development, systematic thinking, and plenty of hard work of the TEAM leaders. However, all was not well within the business partnership. By 2004, it became clear that the business model was (in my opinion) destined to mediocrity thanks to the higher priced products and low compensation rewards for the effort extended. Even so, being a leader and not a habitual quitter, I joined the distributor board hoping to drive change from within the company through sharing my ideas to improve. With a three year term on the board, I felt confident that this would be accomplished for the benefit of all parties. I believe in win-win and know that when distributors win, the company will win. In the fall of 2007, after numerous attempts at change with little to no results, the TEAM associated board leaders felt it fruitless to continue in what they perceived was a broken business model. Sadly, the company had written new rules into their contract that forbid people the right to freely leave the company if not satisfied. In other words, you were free to build a business, but not free to leave it with your personal friends for two years! Regretfully for all parties, the final meeting did not resolve the issues, resulting in multiple legal disputes in an effort to prove their respective positions. Even after several years of legal harangues, both sides remained immovable on their principles and positions. The TEAM refusing to believe people could be called business owners without the freedom to choose what company to work with and the company refusing to surrender their contractual concerns even after the TEAM leaders fulfilled their six months of inactivity. With tens of millions of dollars and nearly three years wastefully spent on both sides, ultimately a confidential settlement was reached ending the madness for all involved. The financial pain hurt everyone, but especially the TEAM leaders who had just reached financial independence. Their sacrifice was above and beyond the normal call of duty, with many leaders losing 2/3 of their monthly incomes, some even more. Only people who truly believed in the mission of TEAM would subject themselves to this level of stress and sacrifice. In the meantime, after sitting out the required (and disputed) non-compete period, the leaders of TEAM joined MonaVie. Thanks to the encouragement and support of Dallin Larsen, we had found a home to restore our communities. 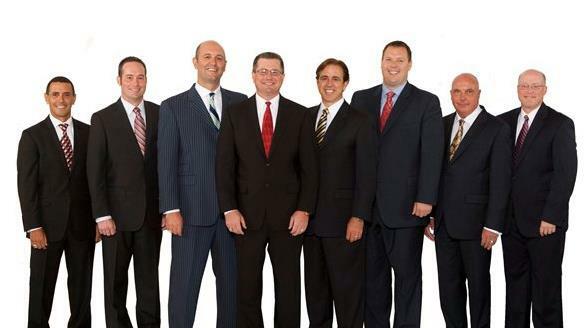 The PC leaders never gave up the dream to build our own business, but were thankful and grateful beyond words for the help and business acumen offered by the 2010 Ernst & Young entrepreneur of the year – Dallin Larsen. The TEAM quickly became one of the top organizations within MonaVie breaking multiple Black Diamonds and above within the first year. I personally reached Presidential Black Diamond and have re-qualified at that level every year since. In fact, today, the TEAM leaders, those who stayed the course, are making more money and reaching more people than at anytime previous time in our decade plus history. Like I have said repeatedly, those who stay will be champions. Through brainstorming with Dallin Larsen and Henry Marsh, wanting to find a way to build our destined business and still have a win-win business relationship, LIFE was conceptualized and founded. This allows TEAM to reach its million people while still rewarding MonaVie for their support during the trying times. The 8F’s – Faith, Family, Fitness, Finances, Friends, Freedom, Fun, and Following allow the TEAM community to reach people with truth in the eight areas and provide exclusive world-class MonaVie products when truth is needed in the Fitness category. Like I have said many times: I love win-win. 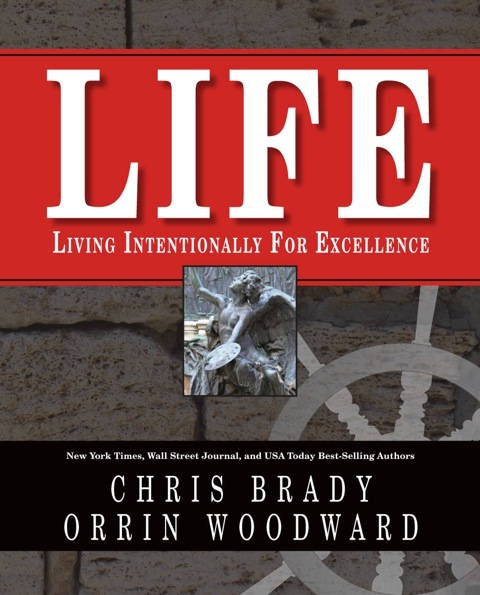 The launch of life on November 1st, 2011 is fast approaching. I have no bitterness or resentment towards the people or events in the past. I wish everyone well regardless of whether they stayed with TEAM or not. I don’t claim to understand God’s plans for others’ lives, but I am responsible for my choices and actions before God. I personally am thankful for the invaluable lessons I was taught about missionaries (purpose-driven living) and mercenaries (profit-driven living). I believe that without this insight, the TEAM would not be in a position to reach 1 million people. Following the principles of servant-based leadership, Chris Brady, Tim Marks, and myself (along with many other TEAM leaders) do not regret the tens of millions of dollars personally spent to keep the vision of TEAM alive. Rather, we look at it as an investment in the future that we resolved to build together, dedicating our futures, finances, and sacred honor in order to fulfill the vision. To use an analogy, the TEAM has ran a marathon since 2007, toiling in the dark with little to encourage us to finish the race. However, against all odds and expectations, the TEAM leaders continued to place one foot in front of the other. It wasn’t even the dream that kept us going in the darkest of nights as much as the un-communicated belief that this was our destiny. Focusing on that still small voice inside of us, and thanks to God’s grace, we somehow eventually saw light at the end of the long dark tunnel. Just as in the modern day Olympics, where marathoners run 25 plus miles outside of the stadium, but finish the last mile within it; the team ran its 25 miles in darkness to reach the stadium. No matter how thankless the first 25 miles were, running without much fan support or any financial reward, we reached the stadium and are beginning the four laps under the big lights and the crowd’s applause.